Group Purchasing (or Group Buying) is a very simple concept that adheres to the old adage: “there’s power in numbers” –> groups of buyers come together and leverage their size to gain access to large discounts on products or services. The model originated in the healthcare space in 1910 when the first group purchasing organization (GPO) was established by the Hospital Bureau of New York. GPOs typically earn revenue from the suppliers they’re partnered with via a small percentage rebate or administrative fee on the total purchase volume of its members. Group purchasing has since moved into the food & beverage industry (e.g., FoodBuy), the retail industry, manufacturing, and more… though even today, the healthcare space is still the best known industry for group purchasing (and even a simple google search for ‘group purchasing’ will show 5 of the top 10 results all related to healthcare). In more recent years though, a new consumer focused model has emerged out of group purchasing. It’s called Group Buying. The model was pioneered by Chicago-based Groupon. Groupon offers consumers a massive discount or “deal” each day (typically 50%+ off) on a product, service, or experience. Then, if a certain number of people sign up to purchase the deal it becomes available to all (and if that pre-determined minimum is not hit, the deal does not become available). Groupon (and most copy-cat sites including: LivingSocial, Tippr, BuyWithMe, and about 20 other sites) typically offer 1 deal each day to consumers in a specific geography (typically a city or metro area) who are subscribed to their program. Groupon, still only 2 years old, was recently valued at $1.35 billion dollars(!) and is now in almost every major city across the US. Group buying has also emerged in other less conventional areas – one of our favorites being the group buying program for solar power, 1 Block Off The Grid or 1BOG. 1BOG pools together households in local communities who all want to purchase & install solar panels on their homes. 1BOG then goes out and negotiates larges discounts on solar installations on behalf of all the landlords / homeowners in a given area that sign up for it’s program. 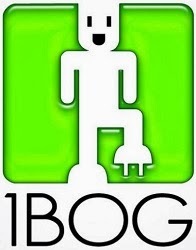 1BOG has a presence in almost 15 major metro areas across the US. So where will group purchasing go next? Group buying of education? Group buying of real estate? Drop us a comment and tell us what you think.